The SP7600 series of GPS tracking devices are extremely compact OBD (On-Board Diagnostics) with intelligent power management. This Plug & Play GPS offers quick and efficient installation. 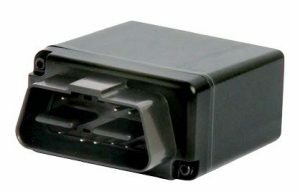 OBD devices can easily be moved from car to car, making the SP7600 series suited for a wide range of applications. In new car dealerships, this OBD GPS is ideal for lot management. Fleet managers will be able to effectively monitor and manage their entire fleet, saving them time and money. Usage Based Insurance (UBI) carriers can use the SP7600 to record actual vehicle operations automatically. Everybody will benefit from enhanced security that comes with the ability to instantly locate and recover stolen vehicles.